These baskets were designed for my beginner series workshops that are coming out soon! There are four variations included in the pattern - a plain one (not pictured) and the 3 that are pictured. 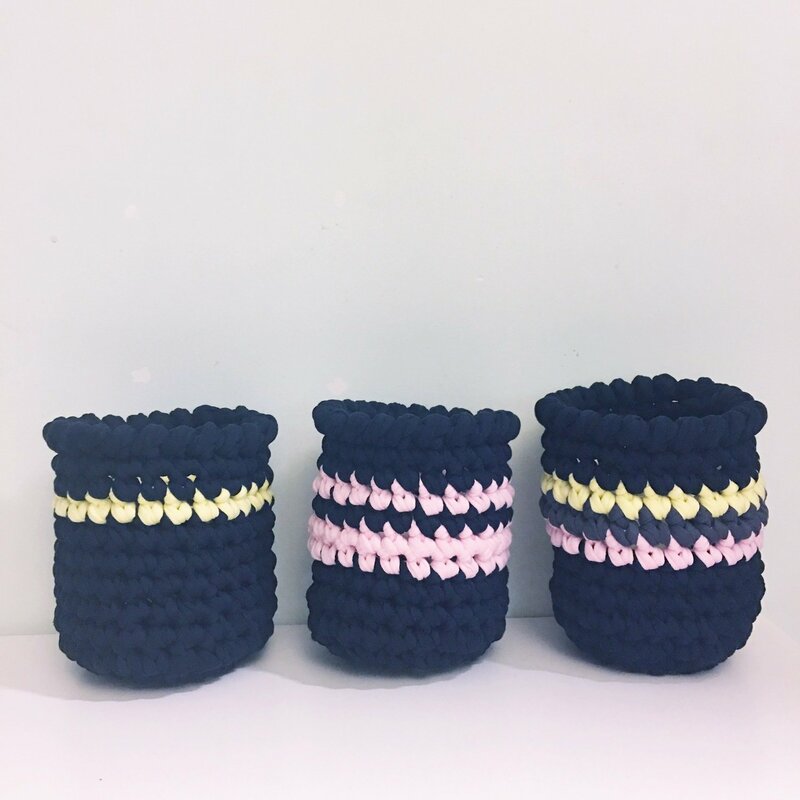 These baskets are made from t-shirt yarn, use a 12mm hook and are perfect for holding an empty 800g can of tomatoes - which means you can use them to house a small plant or utensils in style! A perfect handmade gift too. And let's not forget the benefits to the environment...upcycling of t-shirt material as well as cans from cooking!